Duplicate Photo Finder: Google play store has lots and lots of apps, and there are some which you are not familiar. Some apps are essential whereas others are useless. 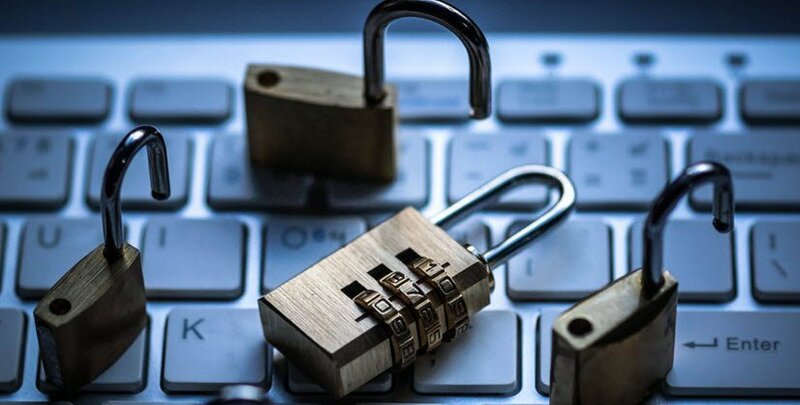 However, there is a category of apps which helps you to clean the junk files on your Android phone. The junk files are usually the duplicate photos or songs. Storing lots of files on your smartphone makes it slower than usual. You can use the apps on play store to remove the duplicate junk files and boost your phone in seconds. It usually happens, when you store a copy of phones two times which makes it duplicate. The duplicate photos capture you smartphone memory, and you will have difficulty in storing more files. 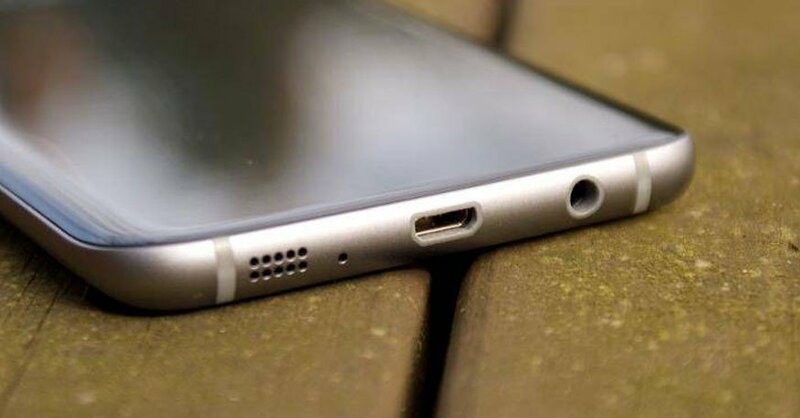 As a result, your smartphone hangs or reduces the performance. We don’t have much time to sit and delete the duplicate photos one by one. So, here is a solution for your problems. You can take help of the apps available in the play store. You can easily delete all the duplicate photos from your phone, and make it well-adjusted. 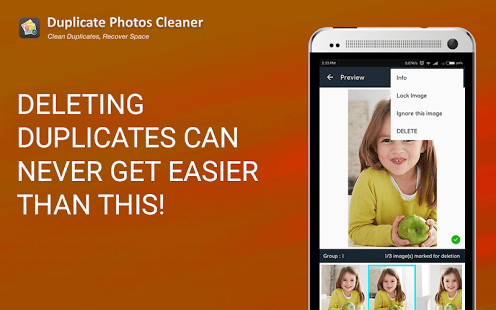 Here are the 10 best duplicate photo cleaner apps for Android. Remo Duplicate Photos Remover search the duplicate photos on your smartphone. It applies Remo’s intelligent De-Dupe Algorithm to scan and present duplicate or related photos order. It offers an option to remove the duplicate photos in bulk or some of them. It makes sure to store a single copy of photo indeed you delete the whole collection. It has two scans modes to exhibit the pictures. The first is “Scan Similar” which present similar photos, but not accurately equivalent. The “Scan Exact” scans accurately same photos. It is also best app to delete duplicate photos iPhone. 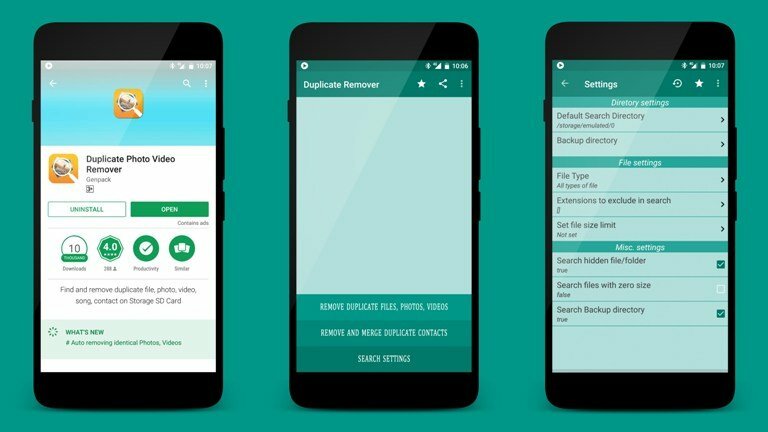 Duplicate Photos Remover search internal & external storage of the phone. It searches all the folders to give duplicate or related photos. You don’t have to search within numbers of photos individually for removing photos. The photo remover has three scan modes to obtain copies. You can select the modes as per your requirement. The “Camera Images” mode scans the folder which has smartphone camera pictures. The “Full Scan” mode scans internal as well as external storage consisting duplicate pictures. The “Select Folder” mode provide duplicates photos from an appropriate folder. 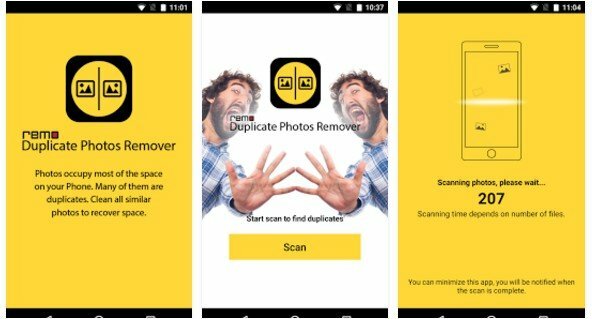 Duplicate Photos Cleaner is the latest app for every Android device. 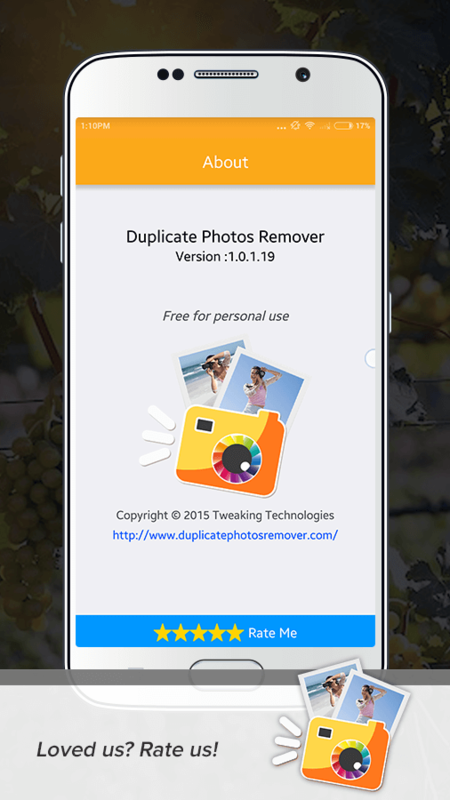 It finds and removes all the duplicate or similar photos from your device. It has adjustable settings which allow you to delete duplicates in your style. It employs parameters like GPS, Matching Level and Time Interval to search the copies. 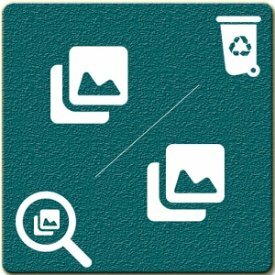 Using, the app you can clean android duplicate photos in gallery. The “Default Scan” mode, set these parameters. In the “Custom Scan” mode, you can modify those parameters to obtain copies according to your needs. It also cleans the phone’s external storage (SD card). 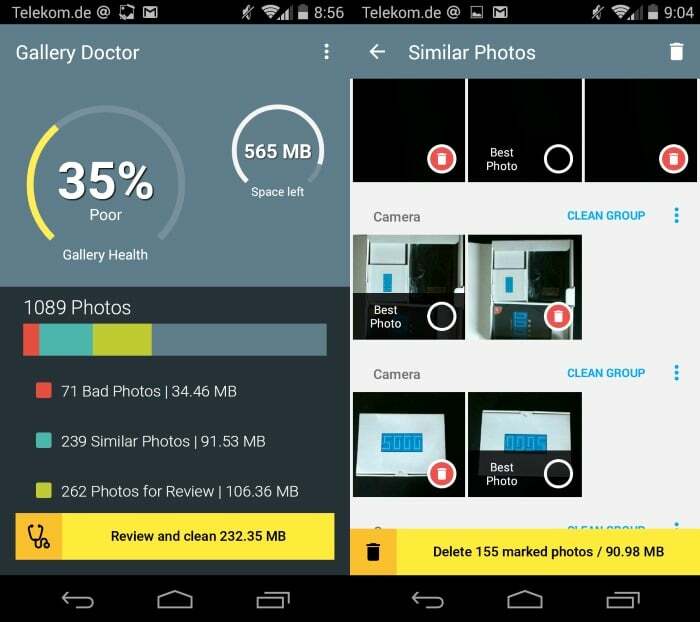 Gallery Doctor automatically recognizes undesired photos on your phone. It provides the duplicate photos as well as the inferior ones. Gallery Doctor combines machine learning and computer vision for finding rapidly photos. It presents photos with poor quality, dark photos, blur photos, and much more. It lets the user decide whether to keep or to delete. You can swipe left to remove the photos and right to store them. Duplicate Image Finder search all the duplicate photos on your smartphone. It is the best app to delete duplicate photos on Android. You can select the photos which you want to delete or store. 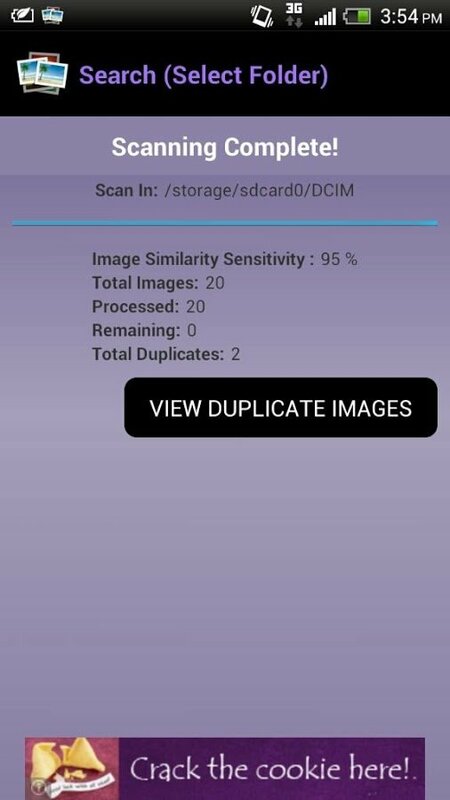 It scans phone storage to obtain duplicate and similar images rapidly. It presents a visual framework for duplicate pictures in the result section. The grid makes it easier to select the images to be deleted. It offers some additional features which you will know after using the app. Duplicate Media Remover scans internal (phone memory) as well as external storage (SD card). You can also select the folders for scanning. You can also delete the original with the duplicate images. You can set the scan interval on a weekly or daily basis. The users can share the result of the recent scan with their friends. The scan results are for the reference. It is one of the best app available for cleaning junk photos. Duplicate Photo Video Remover recognizes and eliminates duplicate photos from internal and external storage. It is the best duplicate photo finder app for android. Select the folder which you want to scan. The result is categorized into groups from which you can keep the wanted ones. You can hide the photos which you want to store afterward. The auto-mark feature allows you to store one copy of the duplicate, and remove all others. You can keep a copy of the scanned result for future use. Duplicates Remover finds all the duplicate and related photos from the Picture Gallery. The duplicate results are presented in a group for a comfortable experience. You can remove the photos with the “select all” feature. The users can also delete photos by picking one by one. It stores all the session and results so that you don’t waste your time. You can check the photos without changing the picture quality. You can download it from Play store for free. 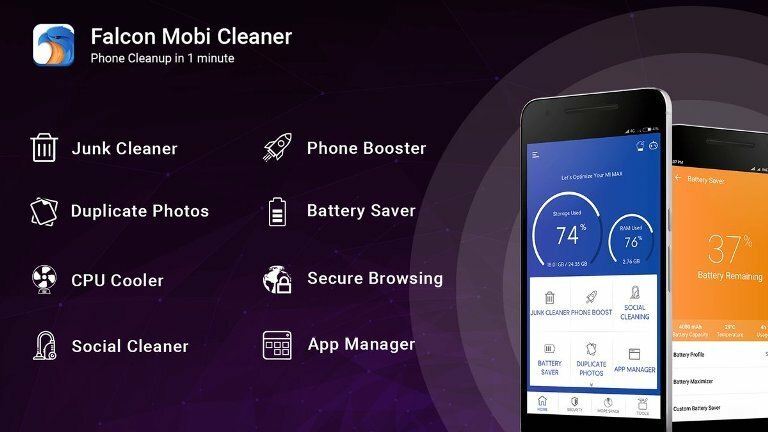 Like other apps, Falcon Mobi Cleaner scans all the similar and duplicate photos on your device. It scans internal (your phone storage) and external storage (SD card) of the smartphone. You can pick the spot to search the copies. You can select the camera picture or any folder or the device storage. It provides the accurate and rapid result to their users. 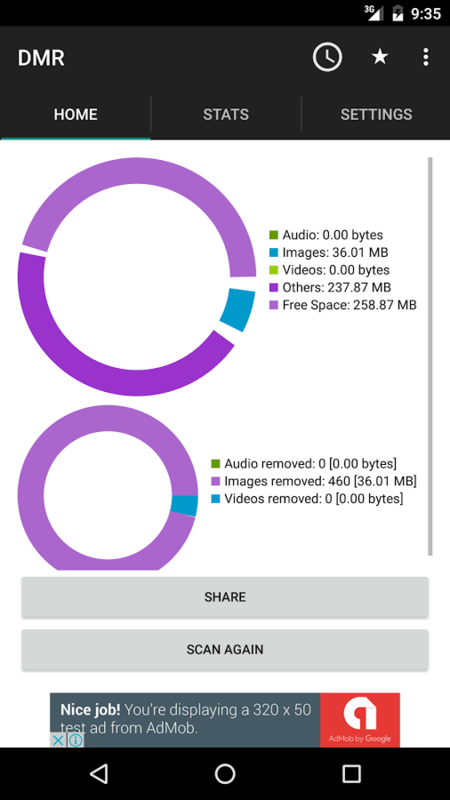 Clean your device and make free space for more songs, photos, apps and much more. 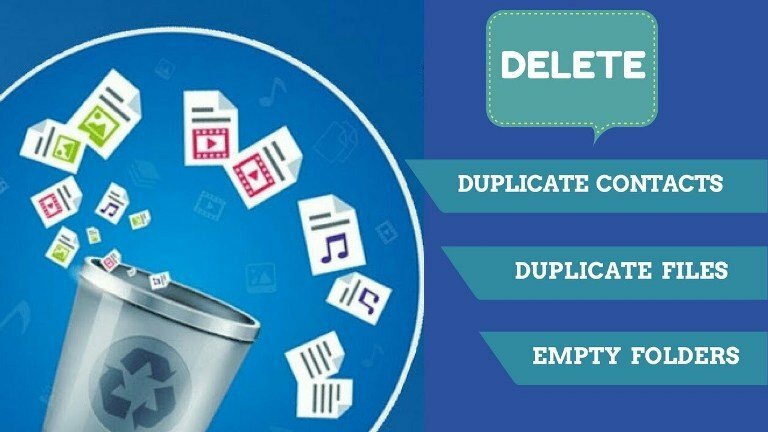 Remove Duplicate Files smoothly scans and delete duplicate or similar photos. It supports all type of photos such as burst mode, resized photos or HDR photos. You get results in organized groups. It rapidly shows the results with lags. You can pick out the pictures which you don’t want to delete. You can also clear the duplicate photos from the external microSD card. You can easily view your pictures in a group format. So, these were the 10 best duplicate photo cleaner apps for Android. Now, you can organize your duplicate pictures on Samsung galaxy photo gallery which often get messed up. You should never choose the complicated way when there is a simple option. If you enjoyed using these apps, then leave your reviews. You can also give your comments if you liked this article. If you find this article helpful, then share it with your friends.